Just as all great things eventually come to an end, the Rose Ball Crew is looking forward to broadening their horizons in 2016 after their biggest and best New Year’s Eve event yet! After three consecutive New Year’s Eve Galas, Charleston After Dark and IceBox Bar have decided to explore other exciting opportunities and potentially get a little rest over the holidays next year….but not before throwing their 4th Annual Finale Event at the Citadel’s Johnson Hagood Stadium on December 31, 2015! Every year we are blessed to be able to come together in one of the most amazing cities in the world, to collaborate with some of the most talented creatives, musicians, DJ’s, dancers, artists and people, who have made this event possible year after year. We are so grateful for our incredible sponsors, Dave and the guys at Big Hair Productions, the Tanzanian Education Foundation, all of our partners, promoters, and the crew that has made this such an enjoyable venture! We are so thankful for you and all of the beautiful memories! A huge shout out to our Pay it Forward Winners this year, two individuals who are focused on giving back and making a wonderful difference in the world; Minta Pavliscsak, thank you for your work with Children with Autism and Surfer’s Healing, AND thank you to Ralph Suppa for your life saving work as a fireman! We’re excited to have you two beautiful people with us this New Year’s Eve and appreciate your service! 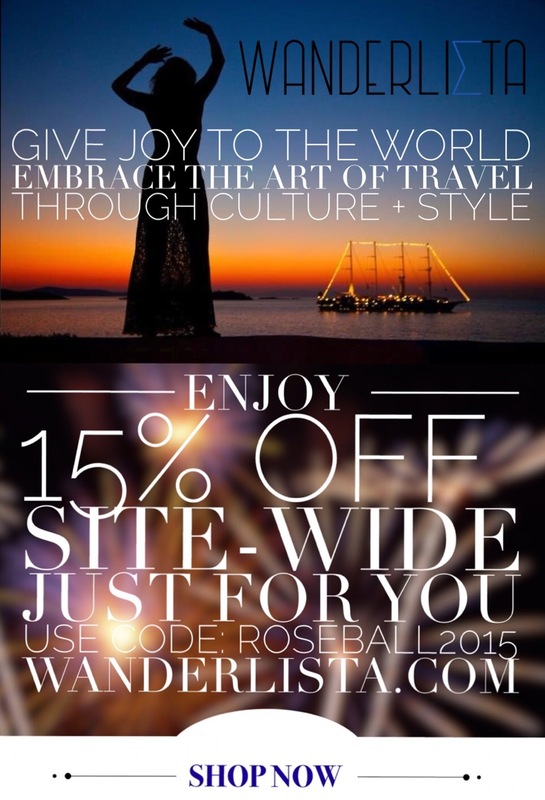 If you’re still looking for something fashionable and unique to rock out for New Years Eve, check out these glam fashions from Wanderlista and use Promo Code ROSEBALL2015 for 15% Off of their entire store! Click Here to Shop! Happy Holidays to ALL from the Charleston Rose Ball Crew! VIP Tables are SOLD OUT | VIP Tickets Still Available | Space is Limited | Get Yours Today!